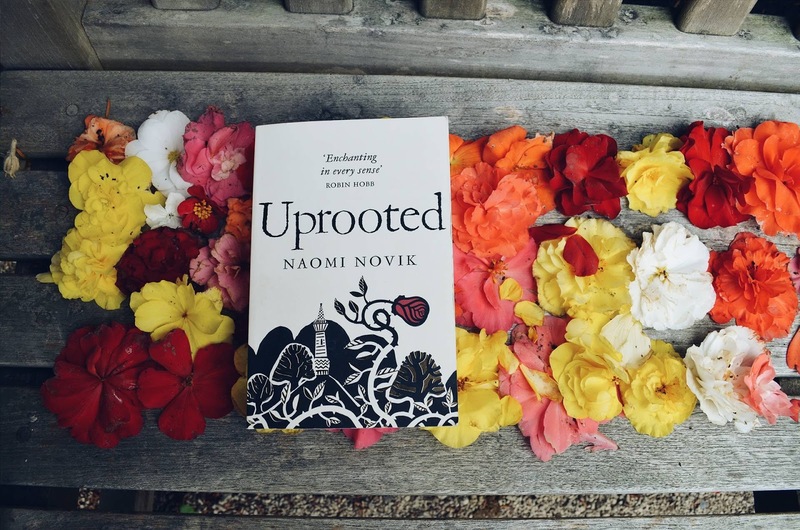 Last night, I finished reading Uprooted by Naomi Novik, This book comes highly recommended wherever you go for reviews so I couldn't wait to get stuck in and let me say, it did not disappoint. It has been a long time since I have read a book that consumed every spare thought I had and made me ensure a quiet weekend in order to maximise my time spend reading, but this did exactly that (sorry anyone who tried to make plans with me this weekend just gone). I don't want to give any more of the plot away than is in the synopsis above because I would hate to give you any expectations on what you think will happen, because even as I was reading and predicting, the storyline constantly subverted my expectations. Part of me hopes for a sequel, as while the book wraps up the story in a satisfying way, I would love to dive into the world head first again. The other part of me wants it to stay the standalone little piece of perfection that it is. I fell in love with this book, absolutely head over heels and I think you will find it hard not too. NB. If anyone wants to talk to me about how beautifully The Wood is described, or just run off to a forest for a while - let me know!